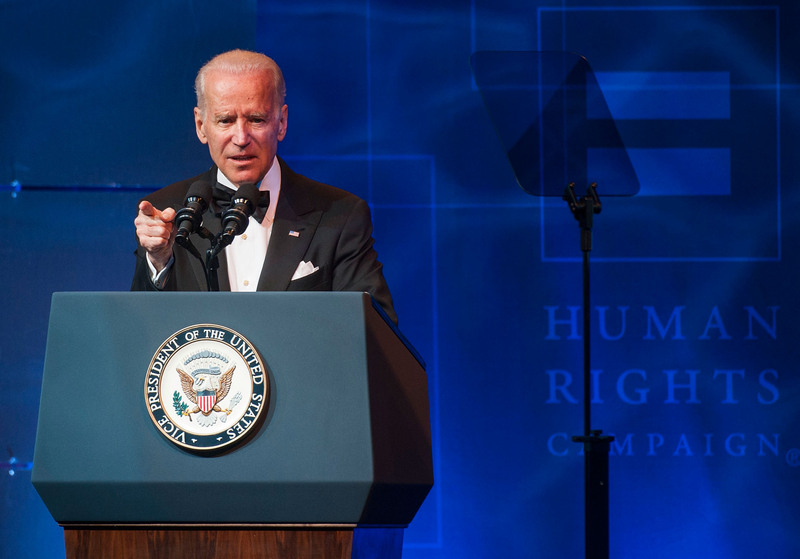 Biden Calls for Raising Minimum Wage, But Will Anyone Listen? In the latest effort to push through yet another major issue that has recently stalled in Congress, on Saturday, Vice President Joe Biden called on the government to raise the federal minimum wage to $10.10 per hour, saying it would be good for the economy and would keep a family of four out of poverty. "It's time to act," Biden said. "It's time to give America a raise." "There’s no reason in the world why an American working 40 hours a week has to live in poverty. But right now a worker earning the federal minimum wage makes about $14,500 a year," the Vice President said in the White House's weekly address. "And you all know that's incredibly hard for an individual to live on, let alone raise a family on." This much has been shown time and again — and if you need any more convincing, just have a look at this map, compiled by the National Low Income Housing Coalition (NLIHC), that shows just how close-to-impossible it is to function on minimum wage. As it stands, minimum wage workers who work a standard 40-hour work week wouldn't be able to afford a standard two-bedroom apartment without paying over a third of their income in any state in the U.S. In case that wasn't persuasive enough, though, Biden also decided to throw a bone to the women out there, echoing President Obama's comments from last week. "There’s one more important benefit. Right now women make up more than half of the workers who would benefit from increasing the minimum wage. Folks, a low minimum wage is one of the reasons why women in America make only 77 cents on a dollar that every man makes. But by raising the minimum wage, we can close that gap by 5 percent," Biden said. As Bustle has previously pointed out, though, this 77-cents-on-the-dollar is "a perversion of a statistic released by the Bureau of Labor Department, which found that women’s median full-time wage earnings are 77 percent of what men make when also working full-time. The number 77 is there, but a lot of other things aren’t accounted for, like hours worked, industries worked in, education, and experience level." Pulling this over-used stat isn't actually doing anyone any favors — in fact, it just confuses, and therefore reduces, two distinct issues. Regardless, Biden also argued that raising the minimum wage wouldn't just be good for those on the poverty line. It would help boost the American economy as well, he said. "The big difference between giving a raise in the minimum wage instead of a tax break to the very wealthy is the minimum wage worker will go out and spend every penny of it because they're living on the edge," Biden said. "They'll spend it in the local economy. They need to pay their electric bill, put gas in their automobile, to buy fundamental necessities. And this generates economic growth in their communities." The non-partisan Congressional Budget Office has recently estimated that raising minimum wage would bring at least 900,000 minimum wage workers out of poverty, while another 16.5 million workers would also see their hourly wages rise. It also pointed out, though, that 500,000 people or so would be put out of work because of the increased burden on employers.